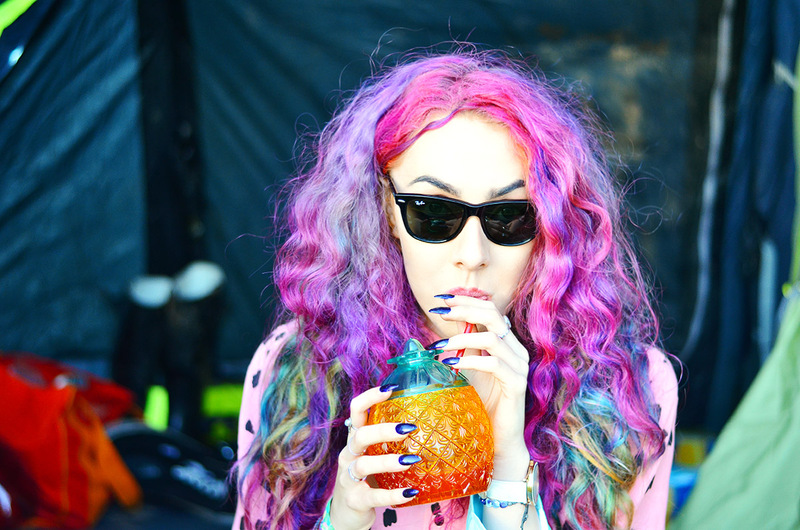 The tell tale signs of a British summer are starting to arrive; the evenings are getting longer, the weather is getting warmer (in theory) and this year’s festival tickets are going on sale - and selling fast. 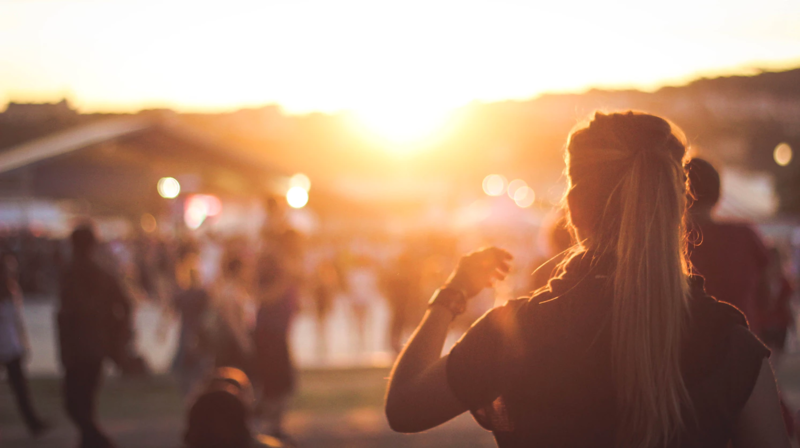 So if you are considering venturing forth to your first festival, take note of these essential tips to avoid a Bridget Jones-style festival fiasco this summer. Making your tent stand out is a really the most important thing you can do at a festival - when you get there and see the veritable forest of identical green canvas around you will see why. The best way to do this is to get your own flag pole, this may sound decadent, but it will help guide you hope from a distance as well as up close. Bonus Tip: pitching near noticeable features is advisable as well, be it a campervan, inflatable or food stand it will give you another point of reference - just make sure it's not the loos (that is never advisable). Though sleep may not be your highest priority at a festival, it’s important to make sure you get some hours in if you want to sustain the pace of festival life (especially if you are there for multiple days). The best thing you can do to ensure you get some winks is get yourself a bigger tent than you think you will need. This is not the place to skimp on the budget. Trust me, when you can’t fit in all your gear and it starts to rain or you spend the fourth consecutive night with your starfishing tent mate, you will be inclined to agree. 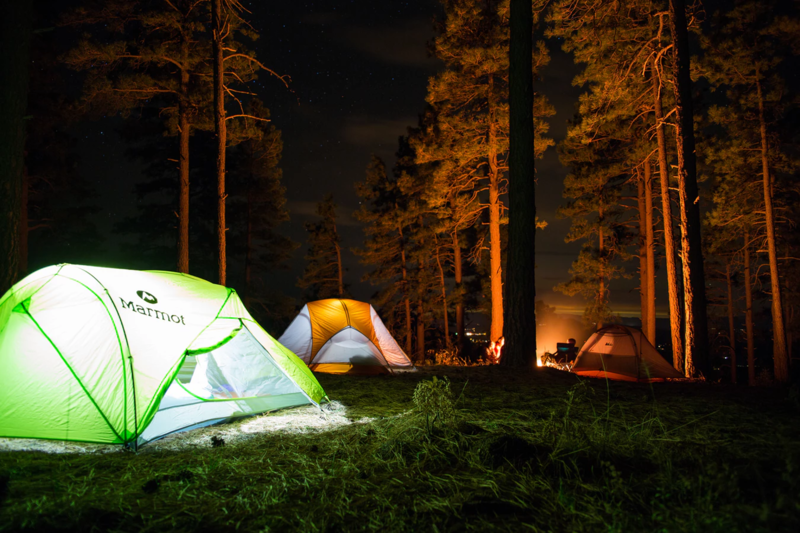 If you are operating on a tight budget you can always look at renting a large tent (for a much lower price) from peer-to-peer rental sites like Fat Lama. Yes it maybe summer, but if you are festivalling in the UK or even further afield there is a good chance that a total wash out could occur overnight. In order to prevent disaster, save yourself the trauma and pack a decent dry bag. You will be very smug when the rain starts to fall if your valuables, dry socks and biscuits are stashed safely away from flooding. Bonus Tip: A dry bag is far more reliable than a bin bag here - worth the investment. This does not always mean drinking beer - though it seems so hydrating! In hot weather and (often hungover) conditions, it is important that you take on plenty of water. With this in mind, make sure you don’t get caught out by the old festival trick binning the water bottle lids when they sell you a bottle. The choice of holding your bottle upright all day or downing it straight away is less than ideal, so do yourself a favour and bring some bottle caps with you. This sounds odd, and might provoke some weird looks before you go but it will pay you back a thousand-fold when you arrive. Showers are just not an option at most festivals so unless there is a nearby lake or sea to swim in, you are very much looking at baby wipes as your next best hygiene option. Pack loads, you can use them as a shower, surface cleaner and napkin. Another essential, if you want to maintain a semblance of cleanliness, is hand sanitiser. When a regular supply of water is unavailable and finger food rife, this will come in very handy (pardon the pun). It will also save your life (possibly literally) after you have used the portaloos. 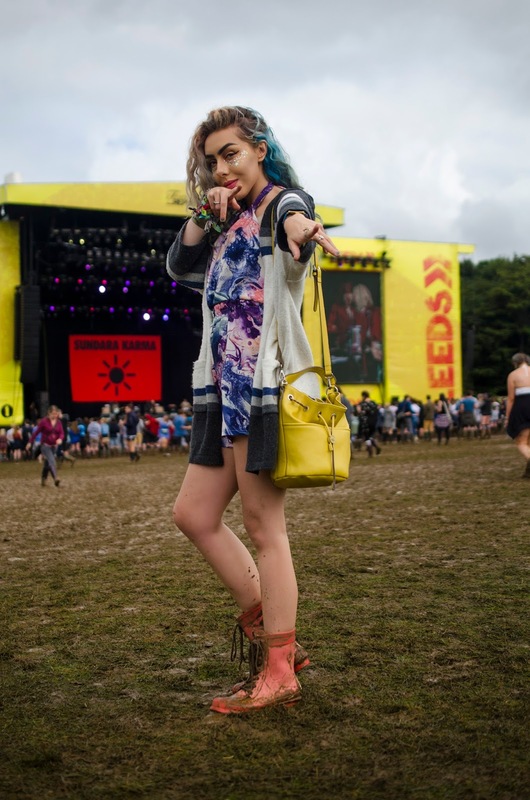 Festivals are a time when normal fashion rules go out the window, but in an environment where pretty much anything goes, it’s worth taking note of a couple of items that serve a wholly practical purpose. Firstly, pack a bumbag, you may think these are more suited to an octogenarian walking holiday than a festival, but the humble bumbag allows you to keep your essentials with you whilst leaving your hands free for dancing. Secondly, a head torch, yes, not the most fashionable item but if you want to find your way home/ to the loo at night you will care little about this. 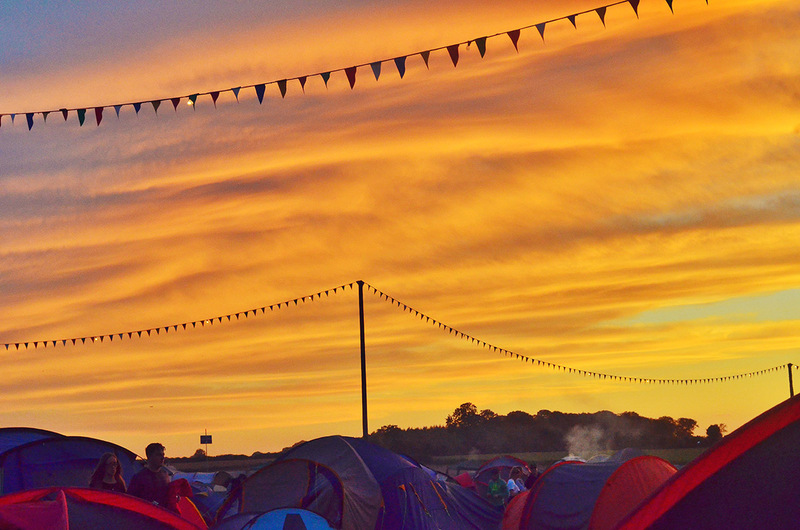 Don’t risk ruining your festival experience by losing your expensive phone. Remember, when you are running around so much and leaving all your belongings in a tent it's easy for them to be lost or stolen. Save yourself the bother and invest in a cheap one for the duration of the trip, you can even get a disposable camera to accompany it if you want to be properly retro. Many problems in life are solvable with duct tape and nowhere is this more true than at a festival. The humble role will save the day if you break a tent pole, rip your tent or even get a hole in your welly. It’s the ultimate quick fix. Bonus Tip: If you are short on space, then wrap a supply about a water bottle to avoid using a whole roll. You will very quickly find your budget slipping away if you rely entirely on festival food stands. It’s important to make sure you get at least one square meal a day, but you can supplement this with a lot of snacks from home. Foods like cereal, fruit and longlife milk will be especially welcome after the inevitable has happened and you have spent your first couple of days living solely on chips. At the end of the day you are at the festival to see the music, so make sure you don’t get stuck at the back or spend your whole life queuing - there is another way. As any seasoned festival goer will know, you are far better off approaching the crowd from side on to get to the front. Just walk alongside the crowd (if possible) until you are near the front and then edge inwards. A pincer movement like this will save you a lot of time and ensure you get the music experience you paid for.